Your Shopify store is finally live. Your beautiful design is perfected, your product is ready, your payment processor is activated and your shipping labels are just waiting to be printed – after weeks of planning and executing, your beautifully designed ecommerce shop is ready to start accepting sales. The hard part, or so you think, is finally over with, but let me ask you something; where are those sales supposed to come from? Even if you’re one of the lucky ones who has a unique product that everyone wants and you’re offering it at the lowest price possible – how can one purchase it from your Shopify store if he simply doesn’t even know about your shop. That’s where online marketing comes in – even more important than the look and feel of your Shopify store – marketing it properly is the only thing that will translate all of that planning and executing into dollar signs. There are two types of Shopify stores, some are mostly ran as a hobby and survive on organic sales – friends & family, word of mouth, posting on forums and so on. The others are meant to hopefully become a profitable full-time business. Most of the strategies here are a bit more advanced and will require true dedication, effort, overtime hours and of course some sort of marketing budget. This unique Shopify marketing guide will be split into a few sections…keep reading. Before we get into marketing your Shopify store, lets first make sure it is optimized as best as possible, here are some things that absolutely need to be set up on your site before you drive even one visitor to it. Let’s start with the obvious. Installing Google Analytics on your Shopify store is just as important as having a Shopify store when it comes to selling online. Your Google Analytics should be properly setup (by a professional if need be) – meaning you should be tracking goals, conversions, events and so on. Take advantage of UTM tags as well when sending traffic to your website and make sure to check Analytics daily in order to see what needs to be improved on your end. An absolute must. It is known in online marketing that emails are one of the best, if not the best, converting traffic sources. Email lists take time to build which is why I strongly suggest you get a head start and integrate an opt-in form right when you launch your site. In fact, you should have one even pre-launch – what better way to launch your website then by emailing a bunch of potential customers anxious to hear from you? There are lots of companies out there that could be used for setting up a proper opt-in form and newsletter, I recommend going with either Mailchimp or Aweber. Relatively newer then newsletters – retargeting also drives amazing conversion rates. It is the concept of “retargeting” an ad to visitors that have already visited your website/Shopify store. For example, with a retargeting campaign, if someone visited the “I Love Pugs” t-shirt page on your Shopify store but did not buy – you can have them see ads of your “I Love Pugs” t-shirt with a 15% discount over the following days until they come back and purchase it. This is done by adding specific code to your website. To learn more about retargeting take a look at industry leaders Perfect Audience or AdRoll. Your blog is your best friend. Start the Blog before you even launch, it’s a great way to get exposure and gain newsletter subscribers, it also doesn’t cost anything except for time, lots of time. Writing great content and promoting it successfully is definitely time-consuming but it’s also worth it, especially when you are just starting out. Download WordPress, choose a responsive template and make sure to customize it so it has the same look and feel as your website. You may wonder why I stress the importance of a Facebook Page but overlook other social media networks such as Twitter or LinkedIn. Truth is, based on my experience, Twitter and LinkedIn both under perform compared to Facebook and Facebook Ads when it comes to e-commerce, especially B2C. This greatly varies depending on your industry so I recommend you do a little research and see which best suits your need. Your Facebook Page isn’t a place to sell, it is a place to generate buzz and create a community. Deliver good content and the sales will come. With Instagram Ads recently becoming available to the public, an Instagram account is truly a must-have when it comes to Shopify and B2C sales. Tons of success stories are available online from Shopify as well as general e-commerce website owners claiming Instagram is their #1 traffic source. Basically retargeting on steroids. The difference here is Facebook goes beyond retargeting, it lets you target lookalike audiences based on your conversion pixel. Meaning, if lets say you get to 100 sales (while having the pixel installed of course) you could then, using Facebook, generate a “lookalike” audience based on the 100 people who placed the orders. Facebook will then use thousands if not tens of thousands of behavior based elements to generate audiences similar to those 100 people. You can then use Facebook Ads to advertise to that “lookalike” audience and hit a home run. Lookalike audiences could also be created using an email list of your customers or a retargeting pixel for your website visitors, best results are usually generated from the Facebook Conversion Pixel though. There are many free ways to generate traffic/sales on your Shopify store. Some are fast, some take longer, some are limited, some could be scaled – all are good for someone starting out as well as to gather data on how your website is performing conversion wise. These methods will get you your first sale on Shopify if your website is well-prepared and includes at least some of the Shopify must-haves mentioned above. If your website somewhat speaks to the tech/startup community (it can even be something extremely simple such as funny geek t-shirts or cool iPhone cases) I strongly recommend submitting your website to Product Hunt. You may need an invite to get in if you aren’t already a member, try looking for one on Twitter by reaching out to current Product Hunt members who may be interested in your product. Product Hunt has a huge community and if you do well (have an innovative product at a good price and as always, get lucky) it can generate several thousands of dollars in sales in literally less than a day. The added benefit is that you can end up on sites like TechCrunch and Mashable who’s editors religiously browse Product Hunt for cool stuff to write about. Keep in mind, this isn’t for everyone, your product needs to speak to that community, if it does you’re golden – no doubt that launching here should be part of your Shopify marketing strategy. If used properly Reddit can generate thousands of visitors as well as sales on your Shopify store for free. The more advanced Shopify marketing strategy would be to post something interesting on your blog (that could potentially go viral) and then submit it to relevant subreddit. The easier, faster, strategy which should also be used, would be to submit to the Shut Up and Take My Money subreddit which is typically used for that purpose. Try to be active on Reddit by submitting other content too, not just your own, it’s a community not a spam folder. Depending on your industry, Forums could be a great source of free traffic. 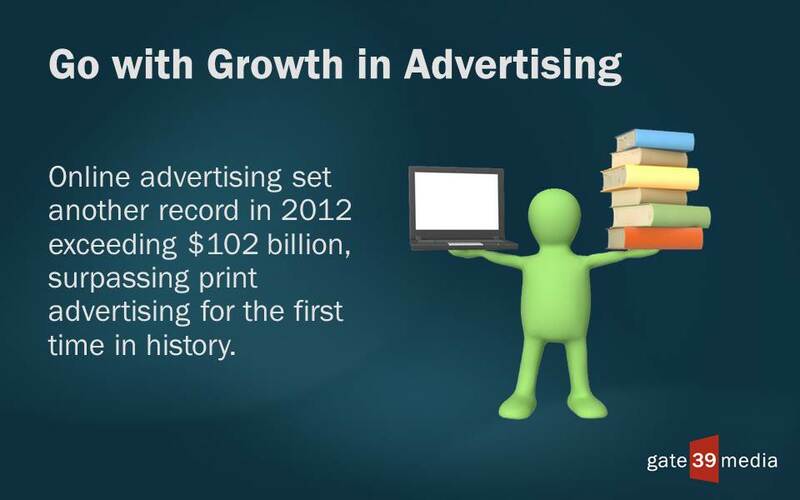 It usually isn’t really scale-able but it can definitely help generate your first sales. For example, if you sell electronics then it’s time you join some electronics reviews forums and start engaging with other users. Eventually, once you gain enough karma, you should be able to add a signature link under your posts/replies. Once you get to that point simply feature 1 product with a coupon code and watch some sales roll in. Although profit margins may be low when getting traffic from coupon sites, conversions are usually higher and it doesn’t cost anything upfront. I’d recommend signing up for RetailMeNot and similar “couponing” websites where you can submit your exclusive coupons and get free traffic. Daily deal platforms such as Groupon and Living Social mean sales – a great start to a Shopify marketing plan. People are ready to buy, they’re just looking for a deal. If you can afford to highly discount your product, as well as pay a hefty commission to the daily deal platform, then this is a must try. Depending on your product and price, thousands of sales could be achieved in a relatively short amount of time – just make sure you can deliver on time, handle the demand and customer service so it doesn’t backfire which tends to happen. Submit your products to popular product feeds such as Google Merchant, Shopzilla and other popular price comparison platforms. Some are paid, some are free, do your research. Again, smaller profit margins due to competition but if you can handle it it could be well worth it. Check out Ebay and Amazon to get started. Make sure you’re ready before jumping into this – your customer service and shipping process need to be on point or bad reviews are quickly going to translate into the end of those channels for you. Your own blog was mentioned as a Shopify must-have because it can be a great source of both traffic and sales. Write good, shareable, content that speaks to the same audience who should be buying your products and your blog could very well become your number 1 traffic source. It’s important that you read up on blogging and inbound marketing – for example, how to write headlines, where to promote your content and so on. Search for that in Google there’s tons of good content that can turn you into a professional blogger if you have some time on your hands and you put in the effort. Although limited, posting on related Facebook Groups (for free) can quickly translate into dollars. Don’t spam, perhaps post a product with a discount using a coupon code for that specific group/community. Make sure you have something to offer whether it’s a better design, better price, a free gift, free shipping or whatever it is – there needs to be a reason for people to “like” your offer! If you’re getting into e-commerce and went as far as setting up your Shopify website, chances are you’ve heard the term SEO. SEO is a must, but it is a long term Shopify marketing strategy. It involves optimizing your website in order to rank high for relevant searches on search engines such as Google, Yahoo and Bing. I won’t go into details since SEO is a whole topic on its own but there’s tons of information on Google and I definitely suggest you get to work on your Shopify search engine optimization. Instagram is extremely powerful – Build a loyal following and it will definitely translate into sales. Read up on businesses using Instagram as well as case studies from actual Shopify store owners which discuss strategies including how to gain Instagram followers as well as how to engage with them. That should get you started on getting some so free traffic in hopes of generating sales. It’s time to move on to paid traffic – although ideally I believe the best way to grow your Shopify store is a combination of both free and paid marketing strategies. Learn learn learn, study, research, read, absorb and do it all again before jumping into Facebook Ads for marketing your Shopify store. But I promise that if you put the effort into it, Facebook ads can help you generate serious revenue through your Shopify store. Make sure you’re setup properly, make sure your Shopify must-haves are all set up and working including retargeting, newsletter, Facebook’s conversion pixel and of course Google Analytics. I strongly recommend Jon Loomer’s blog for learning about Facebook Ads. I’ve personally seen great results on Shopify using mobile newsfeed ads on Facebook so make sure your website is as mobile friendly as it could be. More expensive than Facebook Ads but also converts better (if done properly). Google Adwords are great because you have the opportunity to appear in front of an audience that is actively searching for what you’re offering whereas on Facebook Ads your ad is appearing in front of an audience who didn’t actively ask for it. Don’t kid yourself, it isn’t as easy as it seems, you don’t just bid on a keyword like “t-shirts” and start selling out your new collection. It takes tremendous keyword research, even as far as blocking negative keywords such as “free” – since those aren’t buyers. There’s tons of content out there on how to perfect Google Adwords, get to it before you create your first campaign. My one tip is absolutely do not start with the Google Display Network, focus on the Search Network and only move on to the Google Display Network once the Search one is profitable for you. Instagram Ads are actually really new to the public so I can’t offer much insight. From what I’ve seen they have amazing user-engagement, but can they translate into sales? Only time will tell! The one advantage of jumping into Instagram is that since it’s new the competition may be smaller and prices are lower, just like with any other new advertising platform. Instagram is obviously geared towards mobile so make sure your audience is comfortable with buying through their mobile devices and make sure your Shopify store is optimized for that purpose, I’m talking even about your opt-in forms as well as your newsletters – they MUST be mobile friendly. I haven’t had the chance to try Amazon Product Ads yet but they seem promising. What’s interesting about Amazon Product Ads is the audience browsing Amazon usually is ready to buy – use that to your advantage. Keep in mind, Amazon has serious low pricing and you have to be able to compete or offer something other sellers can’t. I think Shopify is still offering a free $100 to get started, click here for more information. Reddit finally has self-serve advertising which means you can start your own campaigns with a low budget as well as edit, pause and so on without reaching out to an account rep. I would say Reddit is for more advanced marketers, not because of their advertising interface (it’s actually extremely simple) but because of their audience which is quite unique. You’ll have to join the community and spend lots of time on it before even thinking about selling them something or you’ll just blow your budget, still worth looking at since it has huge potential. In fact on many days most of their inventory is sold out, that’s because it performs. Media buys basically mean buying ads on different websites. These don’t perform too well – the idea here is to get an edge that makes it worth it. For example creating funny ads or just plain different ads that could catch people’s attention. It’s also important you study the website you want to advertise on and research its audience – for example don’t go selling rave gear to readers of a parenting blog. You can get started with networks like SiteScout or BuySellAds. I recommend always buying the least amount of impressions so you can test without investing too much – also always test a few different ad copies at once to get a better understanding of what speaks to that specific audience. This is reserved for more advanced users since newsletter blasts are usually expensive and need to be paid for upfront, they also don’t allow you to “pause” a campaign if it isn’t performing, unlike self-serve networks such as Facebook Ads or Google Adwords. Sponsored newsletters involve paying a bulk, up-front, amount in exchange for being featured in a website’s newsletter. For example, if I were selling winter dog gloves/boots, I’d take a look at Modern Dog Magazine and try to buy a sponsored newsletter blast from them. Again, I’d only go with something like that once I’ve tested my website performance with other traffic, if I see I’m selling well and my conversion rates are good then I’ll start looking into sponsored newsletters in order to grow faster and achieve higher revenues. Sponsored reviews could be very interesting in specific niches. For examples lets focus on the fitness niche. Let’s say I have this new product that makes push-ups more effective and produces better results than standard push-ups. I’d go ahead and start looking for fitness guru’s and offer them my product for free in exchange for an honest review. Website’s with a large following will definitely charge on top of getting the product review but if you have a good product then it is extremely worth it. Another example would be if I were selling a new, more comfortable, type of Yoga mat then I’d reach out to Yoga gurus on Instagram and offer them my product for free in exchange for a post on their Instagram profile. You can even dig deeper into this and offer the product reviewer to do a giveaway on his website in exchange for the emails of the giveaways entrants, you can then email those entrants that didn’t win a cute message with a special coupon code thanking them for their participation. That’s more than enough for you to get started on in terms of paid ads – please, do not jump in without doing extensive research, you’ll lose a bit of money and eventually you’ll give up because it just isn’t working. If it isn’t working it’s because you haven’t put the effort in, nothing comes easy, you get what you give. Shopify conversion optimization involves doing absolutely everything you can in order to increase your conversion rate. This includes eliminating friction (whatever makes the buying process longer or even disrupts it) by optimizing your website’s funnel as well as psychological aspects such as button text and color. As a business owner, you should always be optimizing for conversions, it is a never ending process – here are a few tools, tips and examples for you to get started. Keep in mind, you’ll need to be getting traffic in order to start optimizing your Shopify stores performance. Highly overlooked but extremely important for a solid Shopify marketing plan, adding languages to your Shopify website can drastically increase conversion rates. Put it this way, a majority of online shoppers say being able to browse in their native language is more important than price when shopping online. What’s worth mentioning is that website translation used to be an extremely expensive and time-consuming process hence not worth it for small business owners or the ones just starting out. 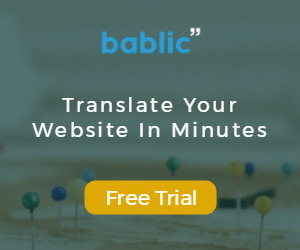 Luckily, as localization is being more important, new solutions (such as ours, Bablic – which lets you translate your Shopify site with 1 line of code) which are easier to use, more cost-effective, and plain simple to integrate are becoming available and I strongly recommend you look into that. A/B testing, aka split-testing, lets you try out changes on your website and seeing how they convert compared to your previous version. For example, if your old Add to Cart button is red, you can split-test it with a green one. You’ll be able to divide your traffic 50/50 between the old red button and the new green one, after a certain amount of time which you set (usually based on the amount of traffic you get) you’ll see which one is performing better. If you notice the new one is performing better then stick to it, if it isn’t there’s no harm done, just stop the split-testing experience. There are tons of elements to test and that’s why you should always be testing, do some research online on what to start with and how to proceed. To get started with split-testing you can use a free platform such as Google Analytics (which lets you run Experiences, same as split-testing) or Optimizely which comes highly recommend but costs money. To me, on a Shopify or any ecommerce shop, having livechat installed is a must. It is literally the best way to interact with customers because it’s in real time. If someone has a question, chances are they won’t email you because they don’t want to wait for an answer. They rather Google it or check your competitors and the second they are off your website chances are you lost them for good. Yet if there’s a livechat widget available that says “we’re online” they might just message you and ask their question. That’s the perfect opportunity to give a face and personality to your Shopify website, it’s also a great way to offer a coupon code or get some direct feedback. There are a bunch of free livechat widgets available on Shopify look for them in the app market. We usually don’t know what people are doing on our Shopify store, how they’re browsing, how they’re reacting, what they see and what they don’t see. That’s the idea beyond heatmaps, they let you “see” how your visitors are reacting to your website. Heatmaps track visitors’ browsing behaviour, where there eyes are, where the mouse goes, what they’re trying to accomplish, which parts they skip, which parts they spend lots of time on and so on. It can give tremendous insight on eliminating friction points as well as highlighting content your visitors find interesting and worthy. You can definitely find some free trials for heatmaps that will give you some valuable insight, just Google for heatmaps. The above 3 things just scratch the surface of conversion optimization for Shopify marketing, I’m keeping it short since the post is already long and I’ll dedicate a whole post to conversion optimization at a later time. I think there’s more than enough here to get you started on the right track and get your first Shopify sales. This is an introduction with lots of valuable information but you need to research every single point mentioned here in order to achieve the best possible results. We will be expanding on most of the points here in the following weeks on your Marketing Shopify Series, make sure to subscribe to our blog and share the post if you enjoyed it, it means a lot! Thank you for sharing this Laurent! Social media definitely appears to be the way to go to get your shopify store some traffic. I also very much agree with the importance of retargeting your visitors.